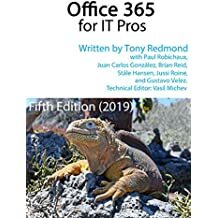 Taking any recommendation from Paul Robichaux is always a risky business. Accepting that you should strap yourself into a World War II bomber that was built in 1945 and has been flying continuously seemed like one of his more outlandish suggestions, but it was absolutely wonderful and a fantastic thing for anyone who has any sort of interest in history to do. The plane is a B-17G called the Nine-O-Nine. 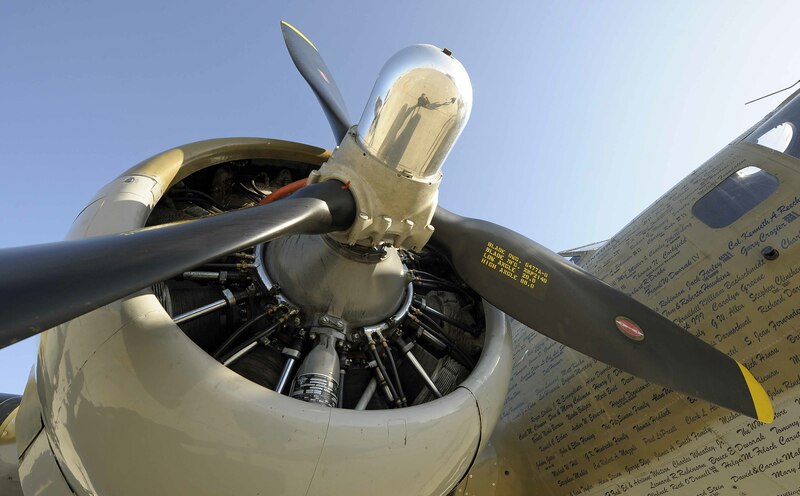 It’s operated by the Collings Foundation, a non-profit organization that maintains a collection of World War II planes and other equipment and takes them around the U.S. to allow people to see and experience the aircraft in use then. This B-17G is one of ten still flying in the U.S. but it was never actually in combat. Rather, it represents the thousands of aircraft that did fly over Germany and other places at that time. Interestingly, the aircraft was also exposed to three nuclear explosions in the 1950s and was involved in heavy crash in 1987, neither facts that I knew before I flew! In any case, the Collings Foundation had brought their collection to Moffett Airfield in Mountain View, CA. President Obama had flown into Moffett on Air Force One the previous day and it’s also the operating base for Google’s 767 as well as hosting some unique buildings, so it’s a great place to visit. The collection of aircraft included a two-seat variant of the P-51 fighter, an ME-262 (a replica of the world’s first jet fighter), and a B-24J Liberator bomber. Various other bits of military hardware were also present for people to examine. The foundation hopes that it will be able to offer ME-262 flights next year (they need FAA certification) – that would be quite an experience. 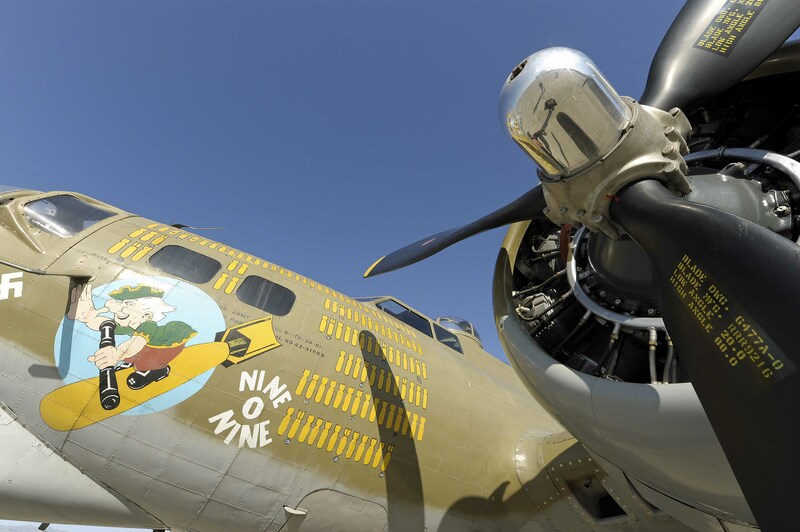 Flights are available on either the B-17 or B-24. The Collings Foundation sells seats to fund the maintenance of the aircraft, an approach that seems an excellent way of allowing people to experience some of what it was like to fly in these bombers while balancing the books at the same time. At $425 for a half-hour, these flights will seem expensive to some. However, I think of it as a once-in-a-lifetime experience for a military history nut (like me) and it seemed like a real bargain. Apparently because the foundation is a non-profit organization, U.S. taxpayers can claim the cost back on their tax returns. I doubt that the Irish revenue commissioners will be so accommodating. I’ve seen B-17s up close before and had some conception of what the airplane is like. 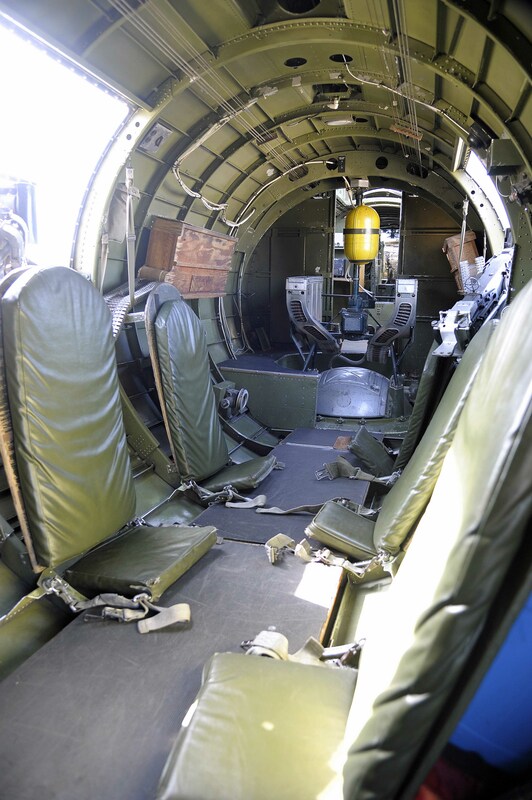 However, nothing quite prepares you for the experience of actually getting into a very bare-bones interior painted in tasteful military olive green throughout and strapping yourself to the floor before takeoff. All of the complaints about bad and uncomfortable airline seats disappear from your mind (even those in the old United B757-200s that continue to fly when their competition has moved so far in advance that it’s unreal) as you cope with old-style seatbelts that you’re pretty sure will be absolutely useless in the case of a crash. Oh well, that’s why you sign the indemnity form before getting into the plane. 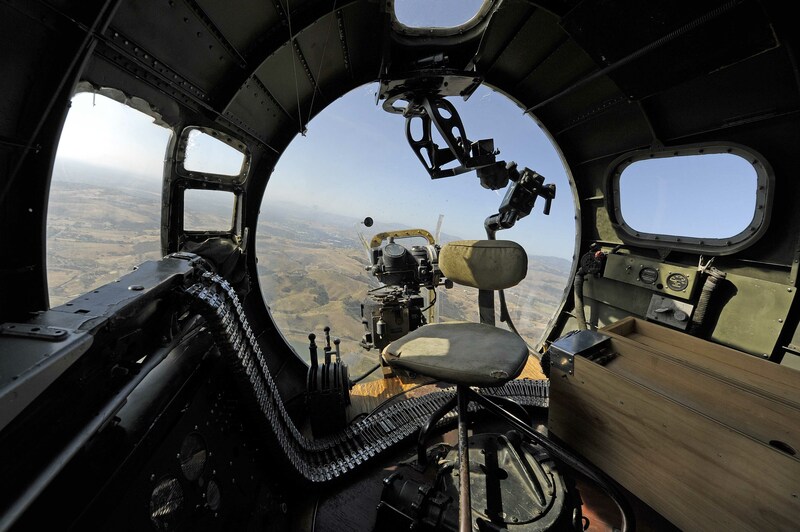 Rear cabin of the B-17 looking forward towards the bomb bay. Once you’re strapped in the fun begins as the B-17 starts its engines and makes its way out to the active runway. The noise and vibration are very obvious at this point but get much louder and intense as soon as the throttles are fully open for take-off. Once you’re off the ground the crew gives a signal to the riders to indicate that you can move freely around the interior. There’s some basic things to be aware of such as not pulling on the control wires that are strung along the ceiling as this might interfere with the connection between the pilots and control surfaces at the rear of the plane. 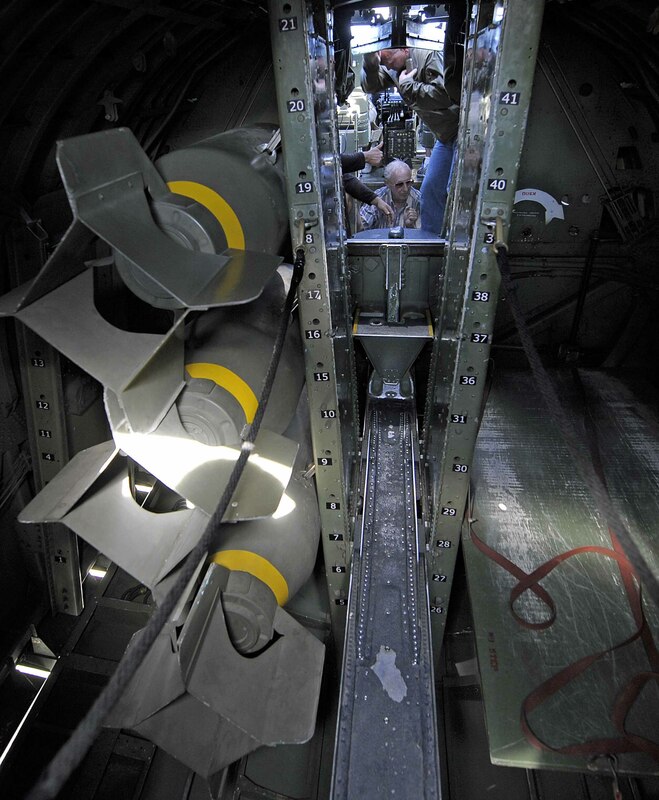 Also, if something is dropped you shouldn’t go after the object as it might end up in a place (like the bomb bay) where panels are prone to open (a major design feature of any good bomb bay). 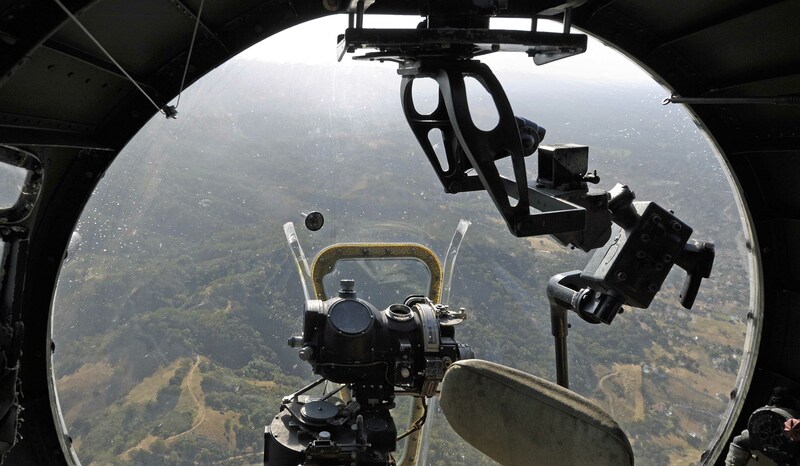 The B-17 flies with a mid-plane observation hatch open at the radio operator position, so there’s a good draft at this point that can whip off glasses or even cameras, so you have to pay attention when you’re looking out the hatch. Apart from that, the only control is a flow system to make sure that everyone gets a chance to crawl forward to experience the view from the front bombardier station. The view from the B-17 as it climbed over Moffett was amazing with the runways, hangers, and other aircraft clearly visible. 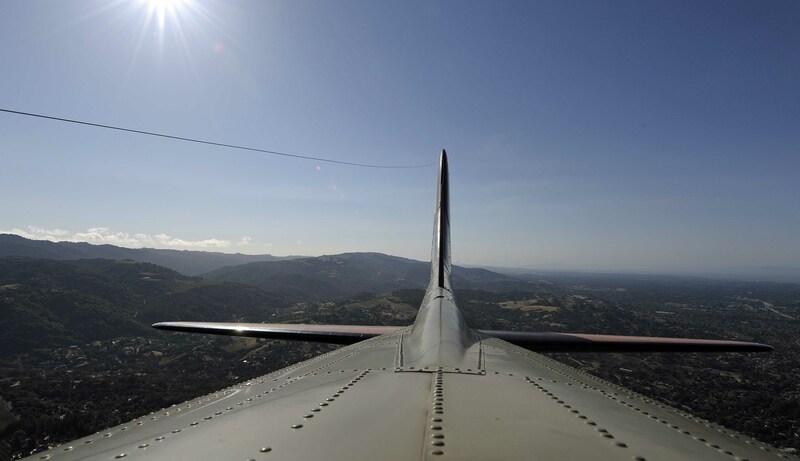 The enjoyment continued as the B-17 flew towards Palo Alto and the foothills behind Stanford. I took the chance to stand at the observation hatch and enjoyed having the airflow rearrange my carefully groomed hair. Even though it rearranged my hair, the airflow wasn’t at all unpleasant, so I can’t quite account for the somewhat pained look on my face. I was really enjoying myself at this point! It was now my turn to move forward. This involves walking across a very narrow passageway in the bomb bay. There are some dummy bombs slung in the left-hand bay to give an impression of what a loaded bomber was like. However, it left me with the thought that the B-17 is really a fragile contraption (in today’s terms) that didn’t really transport a lot of bombs. Of course, this is looking at things through the prism of today and the fact is that the B-17 was a highly effective bomber in its time. The passageway leads to an upper turret and then the pilots’ position. Once through the bomb-bay, you drop down to a crawl space to move forward into the nose of the B-17 to reach the bombardier’s position. 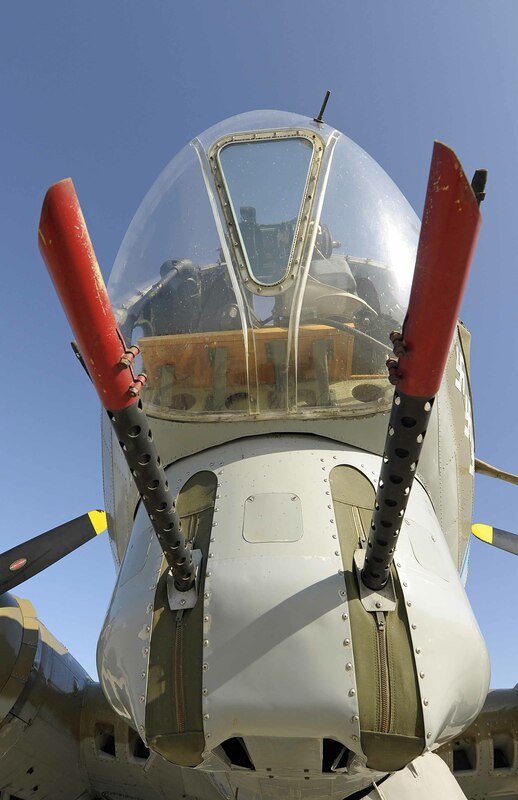 This is where the aiming mechanism is located as well as the controls to allow the bombardier to drop the bombs when the desired aiming point was reached. Naturally, it provides the best view in the place. On flights like this the perspex nose of the B-17 provides a great view of the ground as it passes by. I can’t imagine what it would have been like when operating at 20,000+ feet, trying to locate a predetermined aiming point in combat conditions. The B-17 typically flew daytime operations and so all of the chaos of combat such as flak, enemy aircraft, and the other B-17s in action would have been clearly obvious from this position. 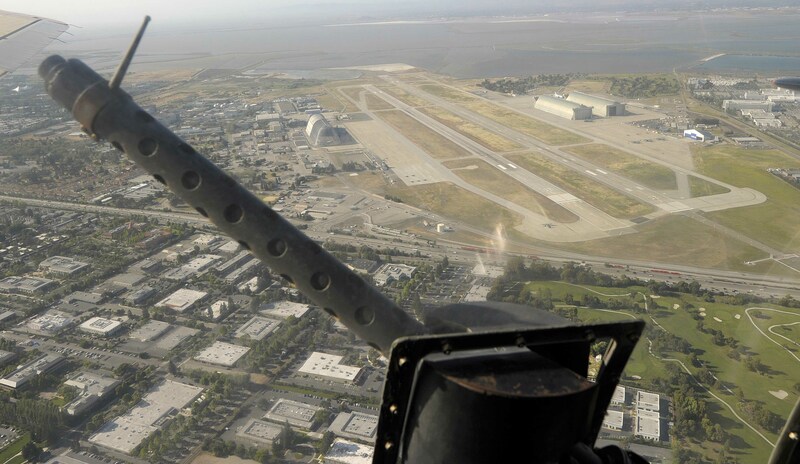 We returned to Moffett after some 26 minutes of flight and landed softly before taxiing for a few minutes back to the tarmac outside the control tower. The total time from getting into the B-17 to getting back out lasted about 40 minutes and was great fun from start to finish. More interest was created by the presence of a Marines F/A-18D Hornet squadron (VMFAT-101) that was using Moffett for training purposes. The Marine pilots showed their stuff off by flying over the base and then landing before parking their five aircraft close to the control tower. The B-24 had taken off for its flight after the B-17 so we were then treated to the rather unusual sight of a World War II bomber coming in to land and passing the five parked F/A-18 Hornets. I can’t think of another experience that I’ve had in the recent past that has provided so much interest in such a short time as my B-17 ride. If you get a chance to sign up for a flight on either the B-17 or B-24, I’m pretty sure that you’ll enjoy the experience. Up to ten can ride these planes at one time – six is the minimum passenger load to ensure that the costs are fully covered. Be sure to bring along your camera. The people who rode with me used anything from an iPhone to several variants of digital cameras to a video camera. I elected to bring my Nikon D700 SLR. As I knew that space would be tight inside, I coupled it with a Nikon 14-24mm f/2.8 zoom lens . This is a great piece of glass that takes amazingly clear pictures in confined spaces and I was very happy with my selection. For most of the external shots, I used a Nikon 24-120mm f/4G ED lens. It would have been nice to have a longer lens for some of the shots (like the B-24 landing), but the 24-120 is truly a great “use anywhere” lens for Nikon cameras. Now back to technology to earn a living – how boring! This entry was posted in Travel, Writing and tagged B-17, B17 Flying Fortress, Collings Foundation, moffett airfield, Nine-o-Nine, World War II, WWII B-17. Bookmark the permalink. Thanks. I had a look at the two photos (my original and the one being sold) and I really think they are quite different. But I might be wrong!